Plåtskylt i vintage stil. 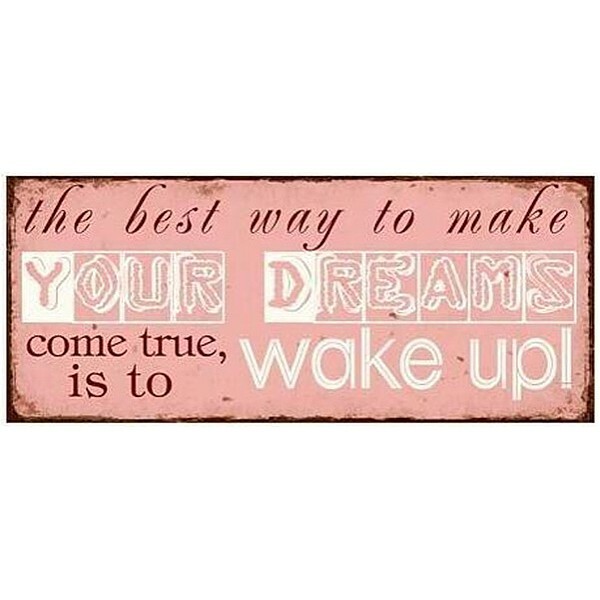 Skylten har vit text "the best way to make YOUR DREAMS come true, is to wake up! ".